According to historical records, Universal Reconciliation was the majority belief of the church during the first five centuries of the Church and the majority of the early Church Fathers. Through infighting, jealousy, and outright heresy among unscrupulous churchmen who conducted Church Councils after the year 400 AD, the doctrine was soon disregarded then completely eliminated. Is this true? What writings do we have from early church fathers prior to 400 ad that supports or doesn't support this statement? Obviously, this topic suffers from dogmatists on both sides. Universalists are desperate to overstate their case, and traditionalists are desperate to prove the early church didn't have any (except a negligible few) universalists. Spoiler alert--they are both misguided. The truth is that this subject is extremely confusing, which makes speculation easy. And even if it were true that the majority of the early church believed one view over the other, we probably couldn't know for sure. Perhaps modern scholarship will one day shed more light. Until then, we must be very careful. I will demonstrate how difficult it can be to state that one view is the "majority" over the other by listing important Christians in the early church and their stance on the issue. Hopefully I have done a good job to avoid cherry picking, but I encourage you to do your own research and double check my work. I will gladly update this answer as this is a massively difficult question to answer. The present-day "traditional" view: The vast majority of human beings go to an eternal hell and the minority go to an eternal heaven. Early Christians who believed this almost always believed the fire was literal. Annihilationism: Those who are damned are blotted out of existence and no longer conscious. Denial of the general resurrection: The damned are never raised. Apokatastasis: The majority of human beings go to hell, but hell is purgatorial. Eventually, after enough time, all the damned will "convert" in hell and join the saints in heaven. Most advocates of this doctrine argue that all evil will cease to exist one day--thus implying (or teaching) that even the devil will convert. Author of the Gospel of Mark: He may be telling Peter's account of the Gospel. He writes for a gentile audience. He uses the term aiōnios once in reference to judgement. Author of the Gospel of Matthew: He may favor annihilation based on how he quotes/paraphrases Jesus in Matthew 10:28. He wrote to a Jewish audience and uses the term aiōnios many times when talking about punishment in the afterlife. Author of the Gospel of Luke and the Acts of the Apostles: He uses the term aiōnios only in reference to salvation. This is true of his Gospel and Acts. He writes to a gentile audience. Author of the Gospel of John: He uses aiōnios only in reference to salvation. He demonstrates influence from Greek philosophy (i.e. John 1's Hymn to the Word). He writes to a gentile audience. His rendering of Christ's words seem to imply a cosmic scope of God's salvific will. Odd Christians Paul references in 1st Corinthians 15: Paul mentions that some Christians performed baptisms on behalf of dead people in order that those dead people might be raised. It seems these primitive Christians believed postmortem salvation was possible, and so it is possible that they might have thought all who are dead could one day be saved. Paul: He leaves us without anything definitive. Romans 9 can be evidenced as belief in double predestination while Romans 11 can be evidenced as belief in universal predestination to salvation. 2 Corinthians 5 says Christ is reconciling the world to himself. It is possible he may have never used the term aiōnios in reference to fate of the damned, but this depends on the authenticity of 2nd Thessalonians. 1 Corinthians 15 is indicative of apokatastasis, but it is possible we misunderstand him. Philippians 2 says all will confess Christ as Lord. Passages about those perishing (i.e. 2 Cor 2:15-16) indicate he believed in an eternal hell, but it is hard to say. Our interpretations of Paul's theology typically determines our interpretations of "perish." Author of the 2nd Epistle of the Thessalonians: He uses aiōnios once in reference to the damned's fate, but he pairs it with olethros suggesting the damned are annihilated. Author of the Epistle to the Colossians: He mentions that Christ will "reconcile to himself all things" by virtue of his atoning sacrifice. Author of the 1st Epistle to Timothy: He says God desires all men to be saved and says Christ is the savior "of all men, especially those who believe." But the epistle is pastoral, so the author is possibly guarding his audience from the full story. Some argue that the author didn't really mean "all men," but instead meant "some (or a minority) of all classes of men"--this interpretation first appears in the 5th century in Augustine's letter to a friend. Author of Epistle of James: He mentions how reconciled apostates were saved from "death." This may imply annihilation, though we have little of substance to draw from. Author of Epistle of Hebrews: He says the damned will be devoured and suffer fiery indignation, and refers to judgement as aiōnios once. Author of Epistle of 2nd Peter: He says God desires for all to come to repentance and does not desire for any to perish. Author of Epistle of 1st John: Most readers understand this author to mean Christ is the propitiation for even the damned. However, a minority think that this author doesn't actually mean that, but instead meant Christ is the propitiation for Christians everywhere. The author also talks about a "sin leading to death" which no one should pray for. Perhaps he believed in a sort of "mortal sin" which damns people forever, or perhaps he meant something else. Jude: He compares the eternal fire the damned will suffer with the destruction of Sodom and Gomorrah. This suggests he thinks of damnation as annihilation. Author of Revelation: Nearly impossible to tell given the symbolic nature of the text. Secular scholar Bart Ehrman believe he is depicting annihilation. He says the devil will burn aiōnas tōn aiōnōn, seeming to indicate eternal suffering. Though some early Christians interpreted the "lake of fire" as being a "refiner's crucible" indicating universalism. Author of the Didache: He doesn't seem to believe in the general resurrection.3 It is possible he thinks that only the saved are raised to life and the damned are left dead. It is hard to tell, however, because the document abruptly ends right when he is explaining this. Author of the Eighth (Christian) Sibyllines: This author defends the idea that prayers for the damned are efficacious. Author of the Apocalypse of Peter: This author defends the idea that prayers for the damned are efficacious, and in some versions, he says Jesus said that hell will not last forever. There are very graphic depictions of hell in the text. Author of the Odes of Solomon: This author says Jesus saves all of the dead in hell. Author of the Shepherd of Hermas: This author says something related to this topic. Something to do with penance in the early church. Someone in the comments help me figure out a short description for this one. Apocalypse of Paul: He writes of postmortem repentance and intersession for the damned. Author of the Gospel of Nicodemus: He says the tree of Jesus' cross destroys all that Satan gained with the tree of knowledge. Author of the Acts of Paul and Thecla: The writer tells of story of a damned woman being saved through her friend's prayers. Author of the Acts of Thomas: The writer writes about Jesus rescuing spirits in hell. There are many other things which can be said about the universalistic tendencies of this document. It is also extremely heretical and endorses all sorts of odd gnostic ideas. Author of the Acts of Philip: The writer is argued by some to be anti-gnostic. Many of its passages demonstrate the writer believes firmly in the salvation of all. If anyone knows of any other early Christian texts which hint towards one view or another, please add to this list. Also let me know of any errors and if you know of any scholars who argue that any Christian above actually believed other than what I put. If I bold someone's position it is because there is a very high probability that they actually held that position. If I do not bold, it just means we do not know with high probability. Universalism is certainly present in the early church, but it is too difficult to say if it was the majority view. Notice too how easy it is to deceive people by listing only universalists as I did in the "Other Early Christian Universalists Just for Fun" section. There are lots of early Christians, so it is easy to cherry pick. 1As I move further in time, I will be less comprehensive and only mention the most significant figures. 2Again, authors might believe in universalism if they believe in postmortem salvation. 3General resurrection or universal resurrection is the orthodox Christian doctrine that all men, saved and damned, will have their physical bodies physically resurrected on the last day. This idea is expressed clearly in John's Gospel. 4I roughly deem an early Christian "notable" if they either are 1) very clear as to their position on the eternality of hell or 2) vital to the development of Christian orthodoxy. I also include all notable church fathers even if we don't know their position. 5If a particular Christian's position cannot be pinned down but is still relevant to this the subject, I include them too. Comment if you have any to add. 6I include Valentinus because he nearly became the bishop of Rome, and his heretical beliefs framed some of the discussion for how the orthodox Christians would respond and then formulate their beliefs. Some will claim Valentinus taught apokatastasis, but this is a half-truth. Valentinus' apokatastasis was neither universal nor holistic, viz. only a certain class of men and only the souls of these men (not their material bodies) would be benefactors of this "apokatastasis." See Ilaria Ramelli's book for more information on this. 7Bardaisan was very against the Valentinian gnostics despite being a gnostic himself. He denied the resurrection of the body as well. 8 St. Hippolytus of Rome taught Origen mostly about the theology of the Logos during Origen's stay in Rome. He was a good friend of Origen, and was anti-Valentinian like Origen. Hippolytus wrote in Greek, but we have his writings in Latin translations. He teaches a form of Purgatory, and when writing against heresies he never condemns apokatastasis. I struggled to find any definitive proof that he believed apokatastasis from scholarship other than that Ramelli seems to hint at him being predisposed to it, but maybe I'm misreading her. In my estimation, he seems to lean more towards apokatastasis than otherwise. 9Some orthodox Christians drew a parallel between the belief that the devil could never be saved with Valentinus' predestination. Origen responded by biting the bullet saying even the devil could be saved, thus defending his doctrine of free will. Though, he later "denied" he believed in the eventual salvation of the devil in a letter to his friends in Alexandria. See Joseph F Badir's document "Predestination and Election" in the academia.edu link in the resources below. 10St. Gregory of Nyssa is one of the three great Cappadocian Fathers. He is certainly a universalist, and he even believed the devil would be saved. The other two, St. Gregory of Nazianzus and St. Basil of Caesarea are very likely to be universalists. Some claim that Augustine wrote “most” instead of “very many” in Latin, but I can’t read Latin to verify that. 2 Aionios; adjective of aion, which is properly translated as age. It depends from when the article is counting. We shouldn't forget that the epistles of the Bible itself account for the main teaching of the early church in the first century. Whether the various churches decided to follow the teaching, and for how long, is another matter. But given the above, we can look at scriptures within the epistles to see what was being taught at the time. The above verses seem to point to the idea that Universal Salvation was not being taught to the early church, at least by the apostles Paul and John. Paul taught that salvation required faith on the part of the believer, and John taught that the presence or absence of God's love and life were evidence of salvation or the lack thereof. If the churches after the first century AD did indeed teach Universalism, it would imply a deviation from the above apostles' teachings. Universal salvation as a phrase begs one refinement before clearly answering. Yes, there is only one way to be saved, which is believe in what God has done through Christ Jesus. No, this salvation will not be automatically applied to all people. So yes, the belief solely in "universal salvation" from grace through faith in Christ Jesus has existed in the one true church over 2,000 years, but let's now turn to whether the ancients believed it was automatically applied. May be saved, so Ignateous didn't believe so. Presumably since he was writing to Polycarp who was taught by John who was taught by Christ, they didn't believe so either. No automatice universal salvation is shown there. Justin Martyr did not teach automatic universal salvation. So to sum, the earliest church fathers believed "universal salvation" is available to all in Christ Jesus, but no they did not believe it to be applied automatically. PS Whether death ends your chance to hear and decide is a different question. Not the answer you're looking for? 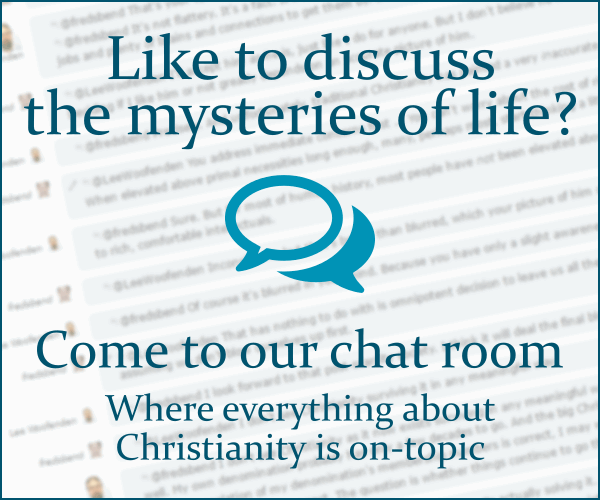 Browse other questions tagged church-history soteriology early-church church-fathers universalism or ask your own question.